Sink. Built-in doser of soap. 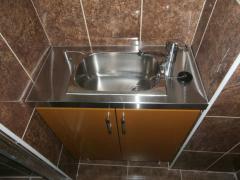 Unbelievable price on Hygiene and sanitary accessoris and equipment in Kharkov (Ukraine) company MetaMebel. Wide choice of quality products at affordable prices.